The wine’s color is a medium dark ruby. Complex aromas of leather, cedar, cola and cocoa powder fill the glass and are confirmed on the palate. This well structured, full bodied Bordeaux-style wine has silky smooth tannins and enough acidity to provide a long and persistent finish. I recommend decanting this wine for 45-60 minutes before serving. 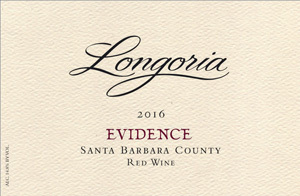 This is one of the best vintages of Evidence we’ve ever produced. Pair this elegant wine with a high-quality aged Cheddar, steak frites, lamb chops and other grilled meats.